This week: political satire on the rise in China, Nigeria bans film on oil corruption, and a FOX reporter is threatened with jail for not revealing her sources. 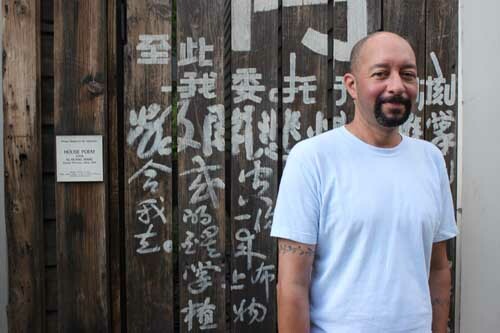 This past Thursday Cave Canem held writers’ workshops in City of Asylum/Pittsburgh’s houses. That evening, they attended a reading by Colleen J. McElroy, Carl Phillips, Claudia Rankine, and Sapphire under a tent on Monterrey Street. 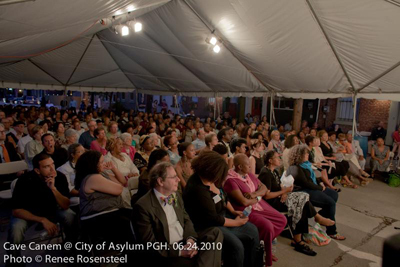 City of Asylum/Pittsburgh presents Poetry on the Northside, a free poetry reading featuring Cave Canem poets Colleen J. McElroy, Carl Phillips, Claudia Rankine, and Sapphire.